Hi all. 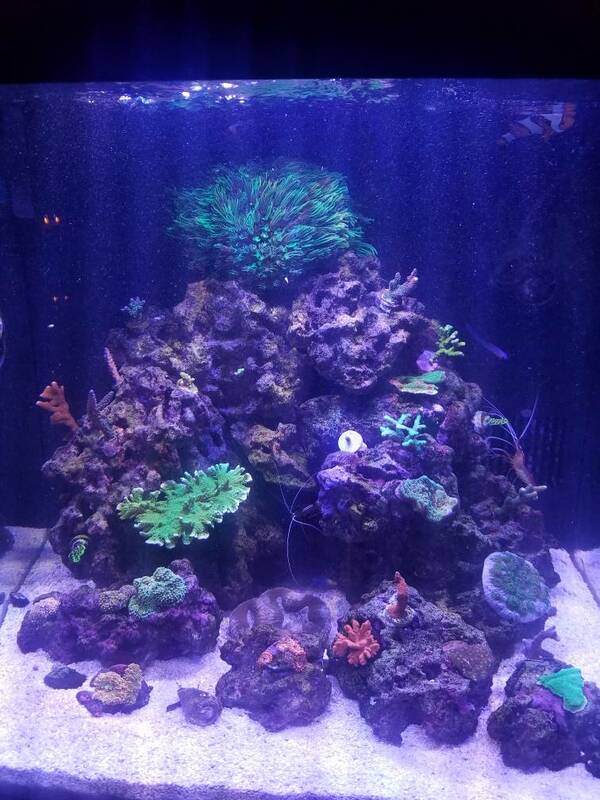 I'm new to reefing and have had my biocube 32 running for about 3 months now and am totally addicted. I started with a CUC, a gorgeous pair of DaVinci clowns and a purple firefish. Next came the green pipe organ, and most recently a selection of SPS frags from ARS in Malvern. Most of the SPS are still acclimating as I try to figure out placement. (I love that store, making monthly trips from Carlisle). I look forward to watching the tank evolve and learning as much as I can about this amazing culture! My experience is get that dosing thing down. Helps in the long run. I like the rock work. It fits the shape of the tank quite well. All the monti look like they are doing well. I judge placement by color and behavior. If a coral is growing, has good polyp extension and is colored well, I have to assume it is doing well. Some of the corals I have will grow well from the substrate all the way to the surface, just because they are that indifferent to conditions....I have others that need to be kept lower (Psammocora). When I frag out my green pocci, ill ear-mark a piece for you if you are interested. My tank is nothing special, and in all reality I haven't started "decorating" it yet. 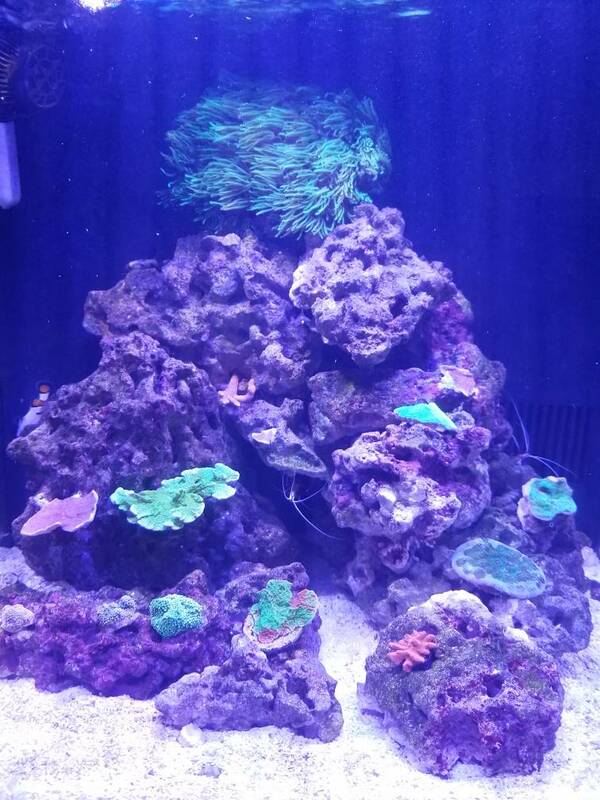 The corals I have are all 100% beginner quality. I know this because they survived this long lol. I don't even bother with "advanced" species any more. They sometimes survive, but they don't usually grow well. Very generous of you! I'd definitely be interested. And thank you for the advice! I was just researching other SPS and read a bit about psammocora. The only negative about pocci is the bailout of polyps...colonies randomly pop up in odd places. At times you will get spots near the base of another coral, and one or the other dies. You can always crush the pocci or kalk paste it. I have about 3 colonies that just sprung up. I will be fragging out most of my items over the next few weeks. Ill keep you posted. Keep up the good work! Update with plenty of new additions... Still a frag plug tank but I'm getting good growth on everything so far!